Big Red Car here licking my wounds at the defeat of my beloved Tarheels. Jay Wright, coach of Villanova, apparently had not read the script wherein the Tarheels were to be anointed the National Champions. 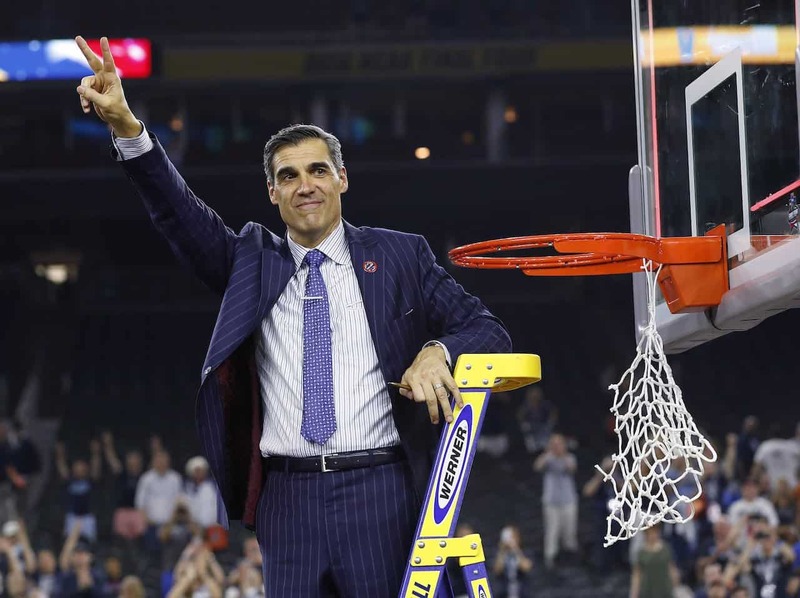 Instead, Villanova, the Villanova Wildcats, took the championship in what was a brilliantly planned and executed gameplan. It’s the freakin’ gameplan, y’all! Coach Wright devised a gameplan that accomplished several critical things which put his team in a position to win. Villanova clogged the middle and prevented the Tarheel big men from scoring which had been their “go to” death blow all season. Villanova neutralized Carolina’s big men. Villanova prevented the Heels from getting out on transition. This also is a signature offensive element of this Carolina team. The Heels were MIA on transition scoring. By preventing Carolina from getting into a track meet, Villanova neutralized the advantage of Carolina’s deep bench. This was a close call as Villanova flirted with foul trouble all night. Still, Villanova played 8 deep while the Heels played 9. Villanova scrapped and scored. The Villanova scoring percentage and the bench points were the difference maker. Coach Wright drew up a perfect play for the 4.7 seconds they had at the end to win the game. It was a perfect play. Let me say a couple of critical things about the Heels. The Heels failed in their attempts to force the ball into their bigs. That was a failure and the box score showed it. The Heels didn’t get out on the break. One or two transition baskets and they win. Here’s the big one — Coach Roy Williams failed to make any meaningful half time adjustments when he knew what the Villanova Wildcats were doing by then. Coaching failure. First, when Villanova had the ball with 4.7 seconds left — score tied — the Heels failed to viciously defend the inbounds pass. When the Wildcats got the ball in — the entire planet knew who was getting the ball, y’all — the Heels failed to doubleteam the ball handler instead letting him dribble with no pressure. Had they put pressure on the ball and forced him to move laterally, the time would have been consumed. The Heels defender on the ultimate shooter stepped away from his man at the critical instant allowing him an unguarded free look at the basket which he expertly capitalized on. Villanova had a bench player inject 20 points. Heels bench scoring: 6. Wildcats bench scoring: 22. Whoa! Wow! Great game. Teams came out tight. Heels shot lights out from behind the arc in the first half. Wildcats outscrapped them and the Villanova bench was huge! Coach Jay Wright outcoached Coach Roy Williams. Still, it was a tie game until that last shot. All hail Villanova! National Champs! This entry was posted in Uncategorized and tagged March Madness, national champs, villanova. Bookmark the permalink. Startup v Small Business — Which One Are YOU? He lives close to my father, and I went to Villanova in High School for Math after I finished Calculus in 10th grade. Both Coaches class. Look at his respect for Roy Williams. I like the finality of the NCAA tournament and the character that it exposes. While I didn’t like the outcome, I did love the game, the struggle, the coaches. It was dramatic and final. I do wish the losers were not such big cryers. It isn’t the cure for cancer, after all. Villanova, as an institution, is an incredible university. Villanova is the National Champs and it was coach and bench points. All hail Villanova!